Honeybee is the working title of a project I've been working on for a few years now. This audition is for the concept video, which will hopefully lead into a pilot episode, and an eventual series. "In an Earth much like our own, Will, a girl with the power to speak to bugs, discovers a secret related to the recent disappearance of bees and other pollinating insects worldwide. 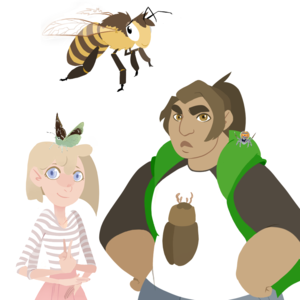 She sets off with a few friends, bug and human alike, to solve the mystery and save the bees. Along the way, she makes many new friends and has new experiences. However, it isn’t long before they discover that the bees’ disappearance isn’t as natural as once thought. An organization from another world, led by another person with the power to speak to and control bugs, is stealing the bees in order to resurrect their own home. Using their various skills and powers, Will and her friends must stop this organization before the Earth is destroyed." When auditioning, please be sure to have good audio quality. This is very important, as having audio quality below my standards will automatically disqualify you from the role. If you are cast, you will have two weeks to send in your lines. Pease keep this in mind when auditioning. Payment (where applicable) will be sent upon delivery and approval of finished lines. The artwork is by iwouldliketosayhello.tumblr.com! 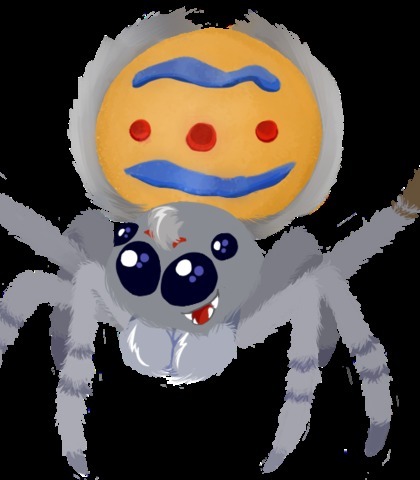 Johnny is a peacock spider and one of Will's closest friends. He speaks with a somewhat rough voice, and he is caring, with almost a big brother-type personality. He loves jokes and puns. (excited, eager) Will! Hey, Will, get up! It’s morning! (confident, then gets flustered) You know, Fluffy, I don't think I ever told you this, but...I--I really like y--uh. Your hat! I really like...your hat. Will is the main character. 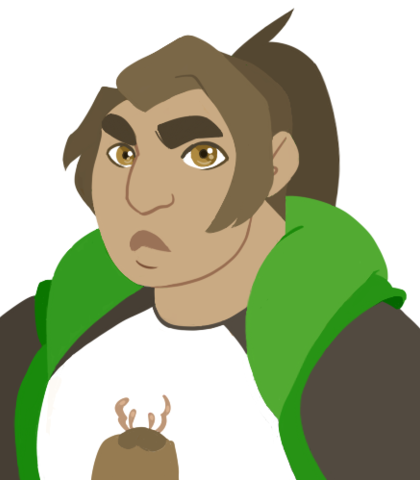 She is a girl with the power to speak to and control bugs. She's a rather deadpan person who doesn't smile or show many emotions around people she isn't close to. Will is of Nez Perce ancestry and, while it isn't required, I would love it if she was played by a Native American actor. (groggy) Ugh...what time is it? (deadpan) Yeah. I get it. Good one, Johnny. (angry) Get out of my way! 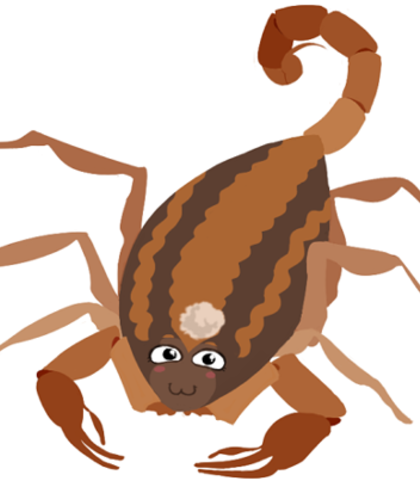 Fluffy is a Hentz Striped Scorpion who loves designing and creating cute, fluffy accessories. She's sweet and kind, and speaks with a soft voice. (giggles) You like my hat? Well, I'm flattered. You're sweet, Johnny. (small laugh) You're one of my closest friends.